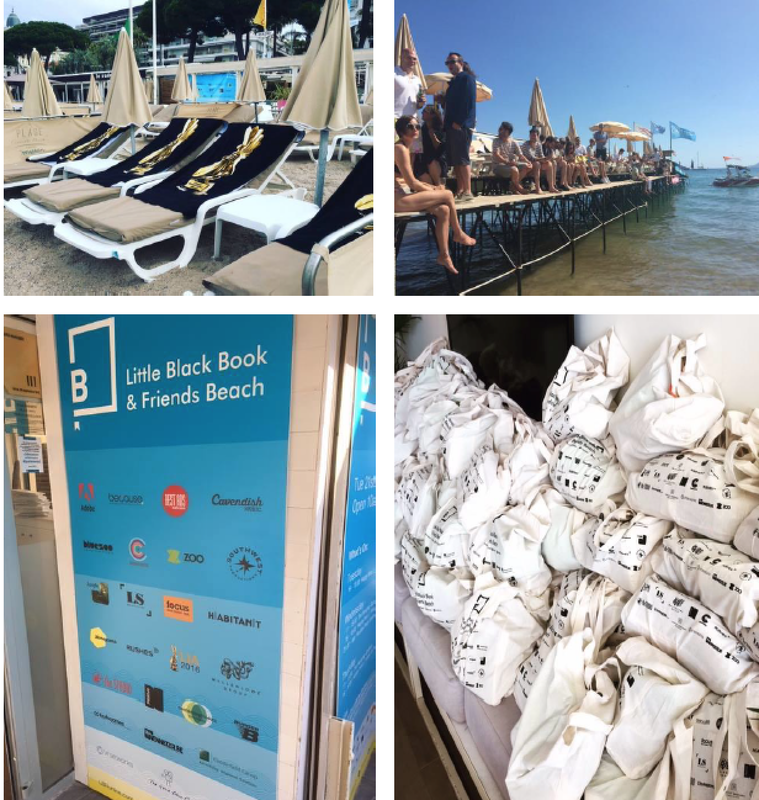 Now in its 10th year, the LBB & Friends Beach ~ co-sponsored by Bestads & Campaign Brief ~ has become the place to network, make deals, socialise, grab lunch, hold meetings and even just take a dip in Cannes every year. With the support of our sponsors, we have been able to bring this free event to the Lions festival each year and we will be back for 2019. The good news is that LBB member agencies and production companies in Australia and New Zealand will once again enjoy Access All Areas. Silver members receive five wristbands for the week, Bronze members receive three. Bashful, BMF, BWM Dentsu, Catfish, CHE Proximity, Clemenger BBDO Sydney, Clemenger BBDO Melbourne, Colenso BBDO, The Communications Council, The Core Agency, Cummins&Partners Sydney, DDB Melbourne, DDB Sydney, DDB New Zealand, Enigma, FCB New Zealand, h-Commerce, Host/Havas, Ikon, Innocean, Marcel, Magnum Opus Partners, M&C Saatchi, McCann Melbourne, McCann Sydney, The Monkeys Sydney, MusicBrief, Ogilvy Sydney, Redengine SCC, R/GA APAC, The Royals, Saatchi & Saatchi Sydney, Saatchi & Saatchi New Zealand, 72andSunny, Special Group Sydney, Spinach, 303 MullenLowe, Town Square, TBWA Sydney, VCCP Sydney, VMLY&R Sydney, VMLY&R New Zealand, whiteGREY, Wunderman Thompson Sydney. AIRBAG, Alt.VFX, ARC EDIT, Blutui, Clockwork Films, Curious, Cutting Edge, Exit Films, Fiction Film Co, Filmgraphics, Fin Design + Effects, Final Sound, FINCH, Flying Fish, Found at Sea, Goodoil, Heckler, Infinity Squared, Passion Pictures, Photoplay, Plaza Films, The Producers, Revolver/Will O’Rourke, Rumble Studios, Scoundrel, Sedona Productions, Sweetshop, Taxi, //Thirteen & Co, Toni Higginbotham Casting, Uncanny Valley, Velvet Winifred. The idea for the beach began years ago. At that time, the beaches were not hired out and most of the people we met said that in all the years that they had been attending the Lions, they had never been in the Med! This was a time before the Gutter Bar; a time when only Print & Poster and Television were celebrated with award shows; back when you could get a table at the Colombe D’Or as a walk in; and ‘Millennials’ weren’t even a thing. Apart from the the opening gala, the beaches were all closed at night. It seemed a shame to bring thousands of people to Cannes for this festival and not make use of the very resource that had brought fame and fortune to Cannes in the first place – the beach! As we were having this realisation, we were also sprinting up and down La Croisette in our ‘non-beach attire’ from screening to cancelled meetings. We just weren’t meeting up with the people we wanted and needed to see. Frankly, we would have given our eye teeth for a beach lounger to just sit on. If we could then lean over to top up our Badoit and strike up a conversation with a potential client, well, that would have been golden. So, we decided to make that place where everyone could meet, stop in and just set up camp. It’s the physical embodiment of LBBOnline; a community where Adland can get together to share ideas and forge new partnerships. Every year gets bigger and better. Almost 1,000 people came down to the beach every day in 2018, with people queuing to collect their wristbands all day long. We (LBB & our awesome co-hosts) really look forward to seeing you all out there this year. You can’t miss us – we’re opposite the Miramar and you’ll see our (friendly) heavies on the door. Who is invited to LBB & Friends Beach? Jury members, and other celebrated guests. How can I collect my wristbands? Wristbands can be collected on the beach between set times from Tuesday through Friday. Times TBA. We will also have some days when they can be collected from our office in London prior to the festival. Dates and times TBA. If you are an LBB/Lab client, or an LBB Silver or Bronze member that will be active for June, then we can arrange to post you your wristbands in advance. 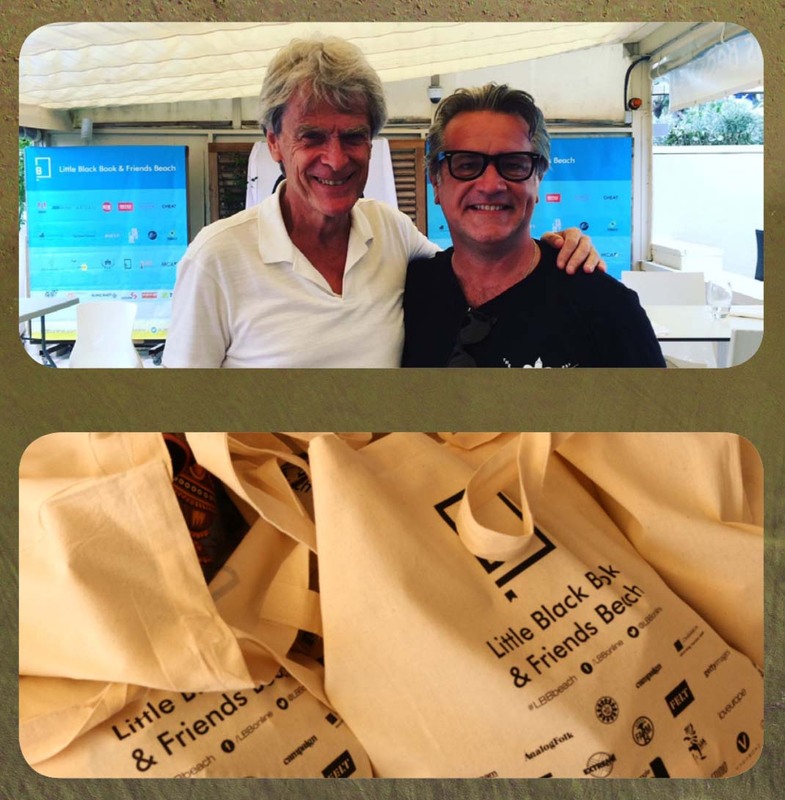 How can we become sponsors of the LBB & Friends Beach? Can I reserve a table on the beach for lunch and meetings? 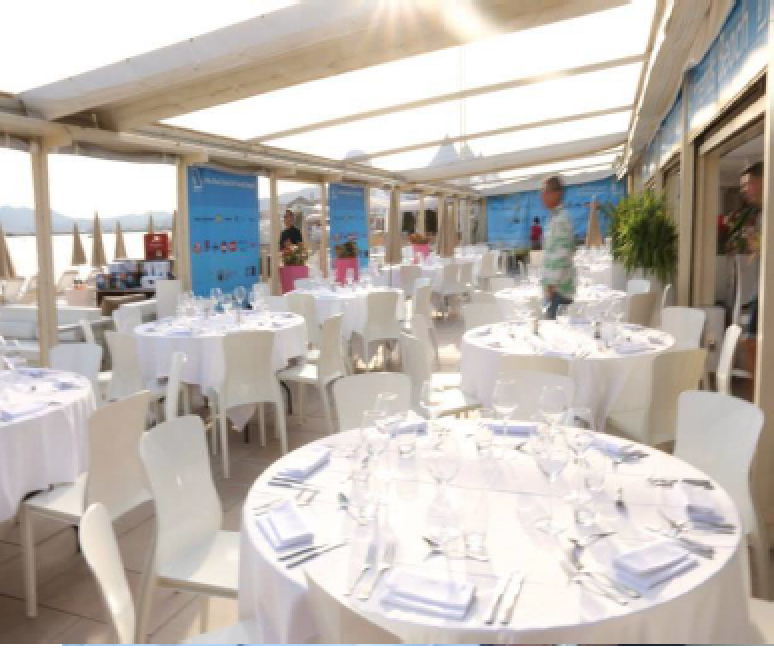 Only sponsors can reserve tables in the beach restaurant. Can I reserve loungers on the beach? These are available on a first come, first served basis each day. Are towels available on the beach? Yes. One of our sponsors, the London International Awards, are providing towels free of charge, while supplies last. You can come and use one, then take it home with you. Once these have run out, the beach restaurant can rent them to you for the day for a charge. Can I order food and drink on the beach? Yes. There is fabulous wait staff on the beach. The head chef designs a special menu for our beach that includes French classics, light dishes and a big burger and fries. Try the creamy truffle pasta. It will put you to rights. The restaurant opens for lunch and stops serving before Happy Hour at 4. The restaurant area will be closed for lunch orders on Friday as we will be hosting our lunch for the sponsors that day but you can still order food on the beach. Can I bring a large group down with me to the beach? Only if they all have wristbands, or are on the RSVP list at the door. What do I do if I get invited to the LBB & Friends Beach? In the invitation, there will be a link for you to RSVP. You MUST RSVP in order to be on the list at the door. We will only have one list on the door and that is the people who have RSVPed for the event. We’d be insulted if you didn’t! And there are watersports for hire from the end of the pontoon. Don’t forget your inflatable swan. Do I need to keep my wristband on? Our music sponsors will be DJ-ing during Happy Hour. Bring your dancing flip flops.